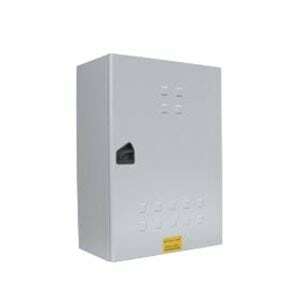 A non-metal, IP66 rated enclosure suitable for harsh environments and low voltage (LV) double insulated applications. This entry was posted in Industrial, Junction & Marshalling, Process Automation & Control, Product and tagged 4, 6, Color 7035, IP66 on September 14, 2018 by Jaylene Young. An IP23 enclosure, the MD series of metering enclosures are suitable for domestic and light commercial metering installations. This entry was posted in 3, 4, Product, Residential Commercial, Residential Metering, Steel Enclosures and tagged 4, 5, 6, Australian Made, Color 7035, IP23, VIC on April 20, 2015 by Caroline Jones. B&R have experience providing NBN or FttP enclosures throughout Australia. 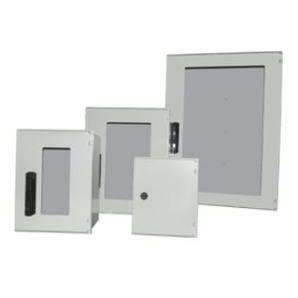 We have options for external or internal mounting in the home. This entry was posted in 3, 4, 5, Data ICT, Home Networking, Metering, Power Distribution Residential Commercial, Product, Residential Commercial, Small Office/Home Office, Steel Enclosures and tagged 4, Australian Made, Color 7035, steel on March 23, 2015 by Simon. 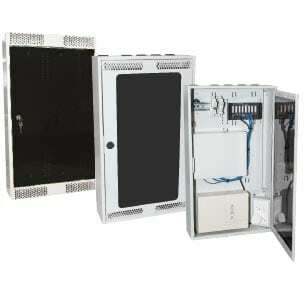 An infrastructure cabinet designed specially for roadside monitoring equipment with ITS equipment. It is also used for GPS stations and for radio equipment. This entry was posted in 1, 2, 3, 4, Aluminium Enclosures, Industrial, Junction & Marshalling, Multiple Application Enclosure, Networking & Server, Power Distribution Industrial, Product, Security Cabinets, Server Racks, Stainless Steel Enclosures, Steel Enclosures, Weather & Dust Proof Cabinets and tagged 4, 6, Australian Made, Color T33, IP66, Lloyds on March 16, 2015 by Simon. 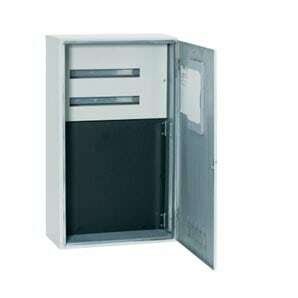 The Forte FR is an IP65 general purpose enclosure often used to house switchgear or components in a variety of applications. This entry was posted in 1, 2, 3, 4, General Purpose, Industrial, Junction & Marshalling, Power Distribution Industrial, Process Automation & Control, Product, Steel Enclosures and tagged 4, 5, Color 7035, IP65 on March 7, 2015 by Simon. An affordable range of wall mounted racks for use in small networking applications and can house equipment including patch panels, modems and routers. This entry was posted in 3, 4, 5, Data Cupboard, Data ICT, Data Racks, Home Networking, Product, Residential Commercial, Small Office/Home Office, Steel Enclosures, Wall Racks and tagged 4, Color Black, Load – Static 50kg on March 5, 2015 by Simon. The Ausrack Wall range is designed for smaller network installations, where ease of installation and accessibility is a priority. This entry was posted in 4, 5, Data Cupboard, Data ICT, Data Racks, Product, Small Office/Home Office, Steel Enclosures, Wall Racks and tagged 19 inch, 19", 4, Color 7035, Color Black on March 3, 2015 by Simon. A range of metal fabricated meter enclosures specifically engineered to suit the Service and Installation Rules (SIR) of VIC based Electricity Distributors. This entry was posted in 3, 4, Product, Residential Commercial, Residential Metering, Stainless Steel Enclosures, Steel Enclosures and tagged 4, 5, 6, Australian Made, Color 316SS, Color 7035, IP23 on February 19, 2015 by Simon.